Shoot for the stars in this distressed sweater which features a bold star pattern and boat neck. Get this chic and trendy Sheer Off Shoulder Star Sweater on sale for just $25 (reg. $60)! This is a lightweight sweater that’s perfect for your 4th of July outfit and any other day of the year. Style it with your favorite pair of sunnies and distressed denim to complete the look. You’ll reach for this one over and over, and you’re going to want it in every color. I’m betting you’ll get a ton of compliments on this! If you and your kids love soccer, these fun Youth & Adult Soccer Tees are a must-have to cheer on your favorite teams and just show your love for the game. Get these on sale for $15.50 (reg. $29). There are several styles available in a variety of colors. My daughter decided she wants to play soccer next year at school, so I am totally grabbing a couple of these for me and her to wear. I love the soccer ball with your child’s name on it. And, the Grl Pwr is perfect for girls to remember they can do anything. Don’t miss out on these Youth & Adult Soccer Tees while they’re on sale! This shirt is too cute and perfect for your spring and summer outfits. Grab this Short Sleeve Camp Shirt in a variety of colors and patterns for $17 (reg. $50). This camp shirt features rolled sleeves, a shirttail hem and an open v-neckline. Leave it pulled out, tuck it in or tuck in just the front for completely different looks. Pair this your favorite jeggings or shorts for a casual everyday look that you will love. Hurry to get this Short Sleeve Camp Shirt while it’s on sale! Kimonos are my absolute favorite item for layering because you can wear them with so many different things. Get these gorgeous Summer Kimonos to wear during warm weather for just $22 (reg. $52). Dress up your look with this lightweight kimonos. These kimonos features a lightweight material, 3/4 sleeves and a open front for a breezy look. You can pair these with anything – shorts or jeans with a tee, a cute dress or wear them over your bathing suit as a swimsuit coverup. You’ll get a ton of wear out of these gorgeous Summer Kimonos, and you’ll want them in every color! Do your kids play baseball or softball? Or, are you big major or minor league baseball fans? These Ballgame Tees & Tanks are the perfect tops to wear to games this summer. Get these for just $14 (reg. $26). These come in rocker tanks and unisex tees. There are several styles available, and I love them all. My favorites are Summer Nights & Ballpark Lights and Peanuts and Crackerjacks. We are big baseball fans in our house, so I am totally grabbing these Ballgame Tees & Tanks. I’m betting I’ll get a lot of compliments on them! How pretty is this dress?? I’m obsessed with this gorgeous Floral Dress and want it in every color. Get this dress for $25 (reg. $52). Dress up your look with this lightweight tie dress. I love the pretty floral pattern and the short cut, which is perfect for warm weather. Paired with our favorite bold earrings and flats for a classic, chic look. Or, add heels or wedges for a different look. When the weather turns cool again, you can add your favorite boots or booties so you can wear this dress year-round. We still have cool mornings and evenings during spring, and this sweater is the perfect transition piece from now until summer. Get this Fun Be Happy Sweater for $20, down from $38. Transitional clothing doesn’t have to be basic. This sweater features warm, coordinating colors on a loosely fitting sweater that is perfect as we transition into warmer weather. Pair with jeans and boots for ultimate comfort or add your favorite sneakers for a cute, casual look. This is one piece you’re going to want to wear all the time during cold weather seasons! I don’t know about you, but I wear leggings a lot. Like all the time. They’re super comfy and cute. But, I’ve been needing some new workout leggings, so I found some of the Highest Rated Amazon Workout Leggings! I love these 90 Degree By Reflex Power Flex Capris because they are high waist tummy control shapewear. They feature a wide, high rise waistband with tummy control to keep you sucked in and a hidden pocket to keep your belongings stashed away. They also have moisture wicking, four-way stretch material to promote both compression and support. 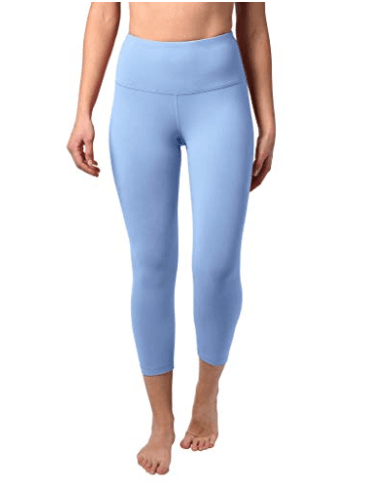 These IUGA High Waist Yoga Pants with Pockets were developed by yogis for yogis. They have a wide, high rise waistband with tummy control, a hidden pocket, and moisture wicking material with four-way stretch that promotes both compression and support. These RURING Women’s High Waist Yoga Pants are perfect for any kind of exercise like running and yoga. They are made from moisture-wicking, breathable and stretchy fabric, and they have a hidden waistband inner pocket to hold anything you need with you. I love the length of these Baleaf Women’s Yoga Workout Capris. These capris feature big side pockets that are the perfect place for your phone and other items. 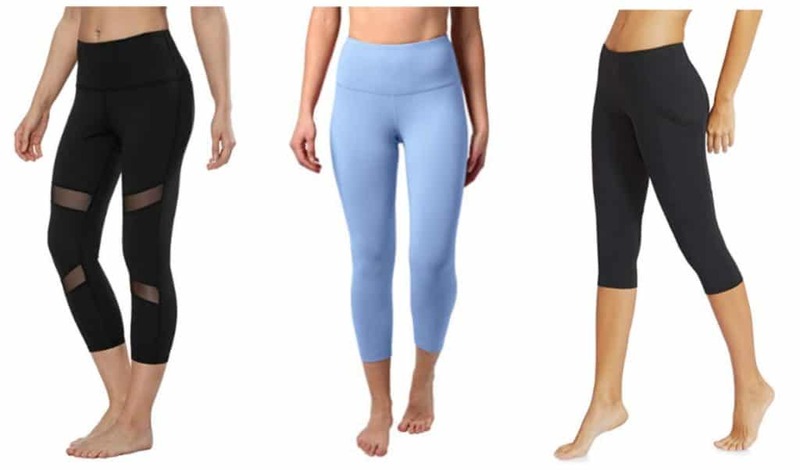 I love really soft leggings, so I want to try out these Velvety Super Soft Lightweight Leggings. You’ll get two pairs of leggings in this set. These are not only great for working out, but they also would look cute paired with a tunic or worn under a skirt or dress. These 90 Degree By Reflex Womens Power Flex Yoga Pants come in a 2-pack and combine fashion, function and performance. They are designed to contour perfectly to your body, giving you a streamlined look.